Weather patterns offer the perfect opportunity to introduce the scientific concept of predictions and the mathematical concept of graphing to your preschoolers. Have your students make predictions about the volatile weather most of the country experiences in Spring. 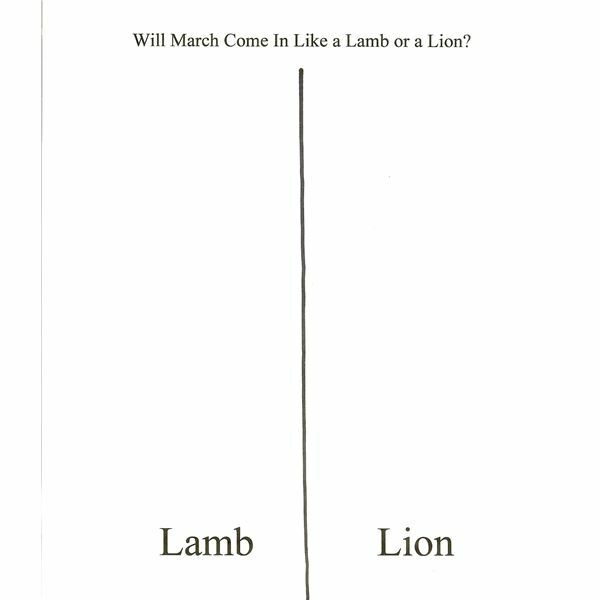 The teacher will provide a brief background to the question, “Will March come in like a lamb or a lion this year?” Then, after posing the actual question, students will have the chance to graph their own answer, tally the data, and make a generalization about which response was the most popular. Students will follow-up during the month by checking to see if their predictions were correct. A stuffed lion and a stuffed lamb or colorful pictures of each. You may have already taken the opportunity to discuss seasonal weather patterns with your students during the school year. If not, be prepared to have a brief discussion about the different kinds of weather found during each of the four seasons. For instance, in the northern United States, winter typically presents cold weather which is sometimes accompanied by snow. Summer presents warm, sunny weather. Spring can bring mild weather or rain and windy conditions. 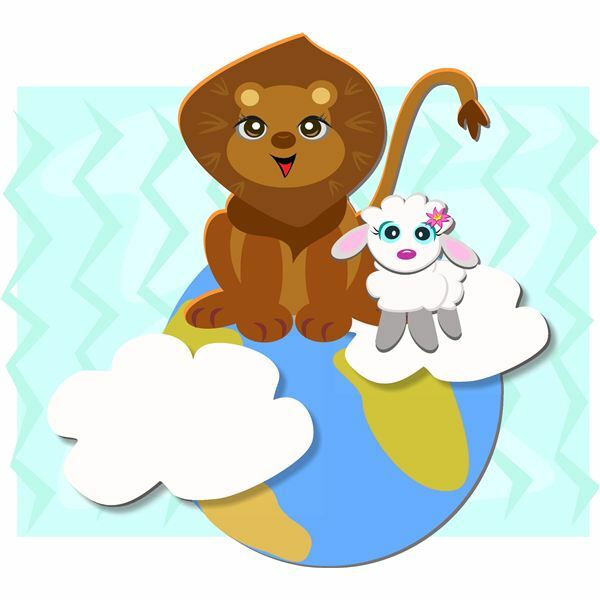 Continue the discussion of typical spring weather by showing the students a stuffed lamb and a stuffed lion. If stuffed animals are not available, you may wish to simply use a colored photo. Once again, describe what spring is like when it presents rain and windy weather. Ask the students that if they were going to choose one animal to represent a windy and rainy spring, which one would it be? The correct answer is “Lion,” because lions are loud and fierce, just like rain and wind can be in March and April. Next, describe the characteristics of a mild spring. Ask the students which animal they would choose to represent a mild spring. The correct answer is “Lamb,” because a lamb is quiet and gentle, just like the warm and sunny days of spring can be. Now that your students have a visual image to connect with these different weather patterns, the teacher will go ahead and pose the survey question. Before doing so, however, explain to the children that you are going to ask them a question but that you do not want them to give their answers out loud. For now, you want them to keep their answers to themselves. Once you believe the children have a good understanding of what you are asking them to do, go ahead and ask, “Do you think March will come in like a lamb or a lion?” If further explanation is needed, expand on the concept by asking, “Do you think March will come roaring in with wind and rain like a lion, or do you think the weather will look more like a gentle lamb, all sunny and warm?” Remind students that they should think about the question but not answer out loud. 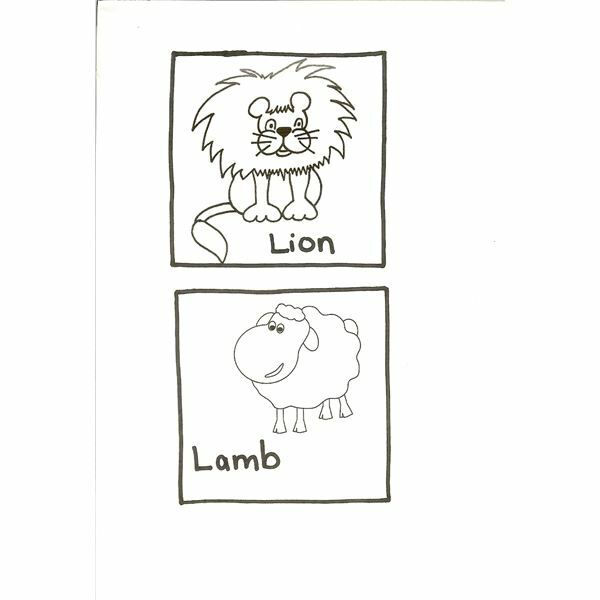 Show students the pictures of the lion and lamb provided to continue the lesson. Ask them to consider their response to the question you posed, and to then select a copy of the picture to represent their answer. If time allows, you may wish to have the children color their pictures first. Picture squares will need to be cut out before graphing. Students may then take turns gluing their pictures into the appropriate category of the graph. Demonstrate that the pictures should be glued so that they are stacking to create not only a picture graph but also a bar graph. Once all of the children have had the opportunity to make their "predictions," spend time interpreting the "results" of the "data" collected, making sure to use the appropriate terminology. How many people chose that March would come in like a lion? How many people chose that March would come in like a lamb? Which answer has the most responses? Which answer has the least responses? Which answer was the most popular? What has the weather been like today or for the last few days? Based on that information, would you say that March came in like a lamb or like a lion? At the end of March, revisit the question again to complete your follow-up. This time, you are checking to see if the weather really did come in opposite to how the month began. Finally, wrap up your lesson by asking the students to make some generalizations about the old saying and its accuracy. The activities offered in this article were designed by the author.